The Fall is fast approaching, the kids are headed back to school and you’re gearing up for a new season in life. Kids aren’t the only ones who need to maintain study habits! 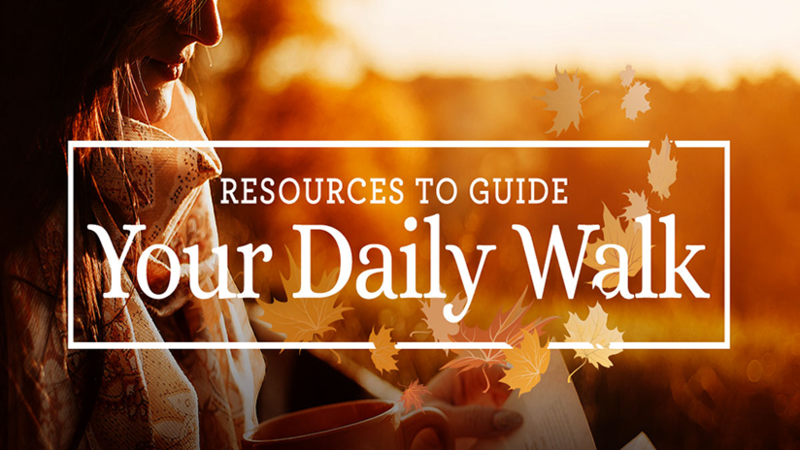 Stay encouraged in your faith with these inspiring and impactful bible studies, devotionals and more. It’s incredible when someone uses their gifts to make you feel valued and inspire you to greatness. What does it take to develop that kind of heart and influence? How can you become a leader like Jesus? Join Boyd Bailey as he shows you how to mirror Jesus’s heart and make a positive difference in those around you. Explore 11 common traits that mark successful leaders, and learn the keys to growth in wisdom and humility. Through practical teaching, you will find that great leadership begins when you turn your focus to God and model Him in your attitude, conversations, and actions. Have you been wounded by the ones you love? Do you wonder how to forgive them—or even trust again? Through biblical and modern-day stories, Franklin shows you how to find the strength and courage to work through your hurt, see others as God sees them, repair damaged relationships, reach out in love, and more. Embraced is a beautiful new devotional from Lysa TerKeurst for women at every stage of life’s journey! Through these 100 devotions, daily scriptures, and prayer prompts, you’ll be reminded daily that God doesn’t pull back from your sharp edges. The first book of the Bible is full of exciting stories! But do you ever find them confusing? 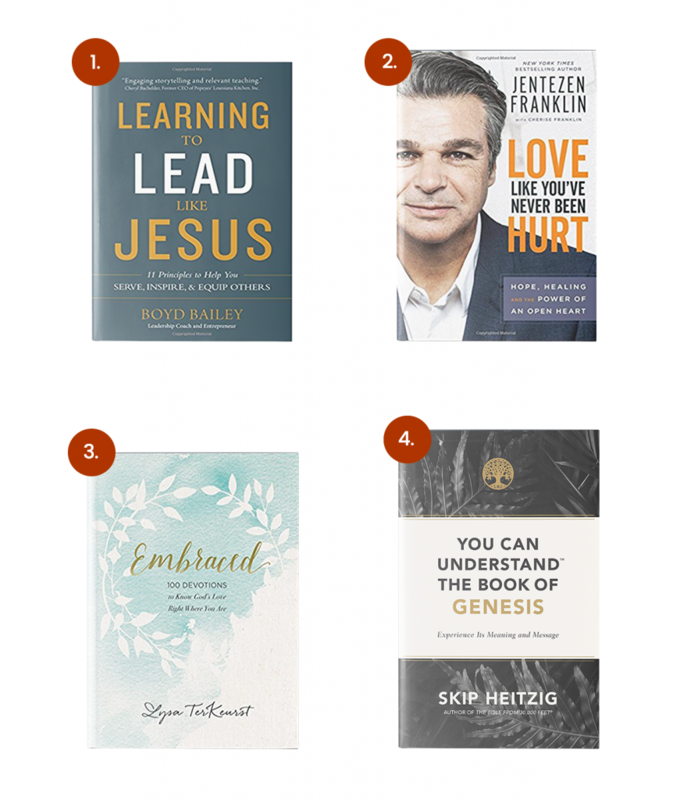 As a pastor, Skip Heitzig hears plenty of questions about Genesis—and knows that understanding the answers is crucial to comprehending the rest of Scripture. Learn about humanity’s origins and fall—and the roots of God’s plan for our redemption.